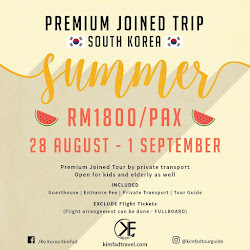 Planning a Krabi trip? Read some of these tips, things to do and what you should know before going. 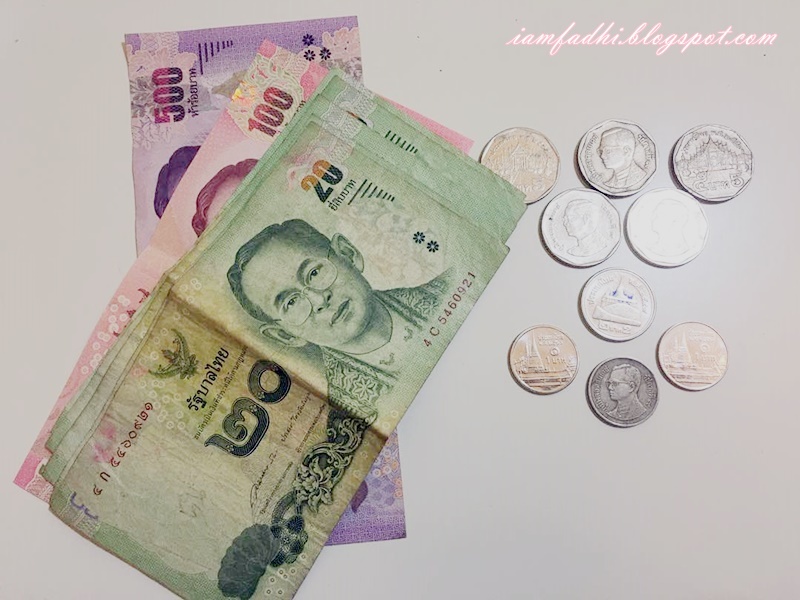 From my readings, I found out that it’s cheaper to exchange money in Malaysia instead of in Krabi itself. So, we did exchange the money first and just activate Korean and Malaysian bank cards just in case we need more money (for my impulse buying disease lol) later. When we exchanged the money in JB, we got 12,000THB for RM1524 (rate 0.127). I think it’s quite good as the XE currency shows almost the same amount at that time. And I was right. When we arrived at Krabi, the lowest rate was 0.128+ where we saw at the Krabi airport and near Ao Nang area is more expensive. 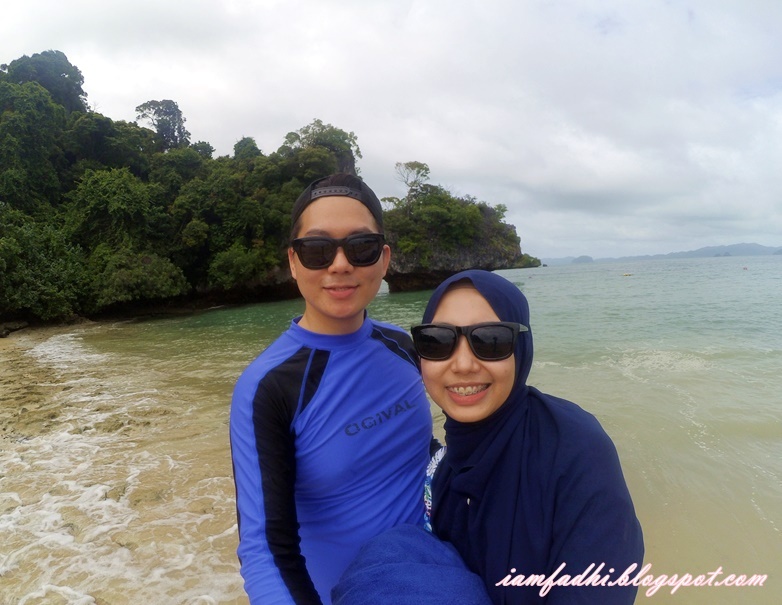 Lucky for me, my friend just got back from her Krabi trip like few months before our last minute Krabi plan. So, I asked her things we might need especially suitable clothes and packages there. One of the best tips I got from her is the aqua shoes. I saw her IG post on one of the shoes she was wearing so she said it was aqua shoes from Sportsdirect. Buying the aqua shoes a day before our flight was the most brilliant thing I’ve ever done for this trip. We use the shoes most of the time we were there. Promotion at Sportsdirect: 2 pairs for RM79, that's a bargain! Tbh, I kinda have this geli-geli feeling in water like I’m not sure what I will step on later so I’m like maaann I love these shoes. Mind you, if it’s raining season in Krabi, you wouldn’t wanna get your sneakers or sandals wet making that pechek-pechek sound. Not to forget the waterproof bag. It’s really helpful to have this with us along the trip. We bought 15liter waterproof bag and it can fit a thick towel (that we kidnapped from the hotel), your camera and phones etc etc during your island hopping trip. As for the mosquitoes repellent and sun block, you can get it there but it’s slightly more expensive in case Watsons have got some special discount during your visit. 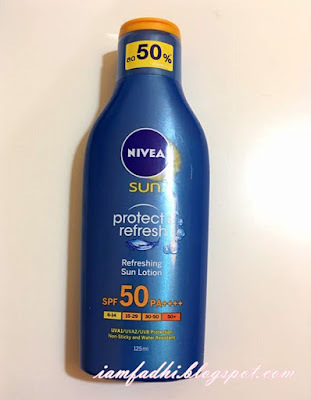 We forgot to buy a sun block before the trip and bough 199baht (after like 50% discount) Nivea sunblock in one of the Watsons branch in Ao Nang which is a good thing for typical Asians like us who didn’t wanna get natural skin-tanned there. And thanks to this Nivea sunblock, our skin was hardly got tanned (even though my skin jenis yang cepat terbakar. Kim lain lah terbakar pun nampak macam kulit tipikal meleis cisss). I bought this pair of burkini (muslimah-kinda-swimwear) by Ogival from AEON when it was on sale like long time ago. It has a hoodie but my head is smaller so it's not tight I have to use a brooch, simply put, no thanks. And I don't like how my face looks like in the hoodie (dah macam rupa cendawan butang) so I wear normal shawl with it. You can actually find cheaper swimwear nearby Ao Nang beach but for Muslims like me, I'm afraid they don't sell a proper kinda swimwear there so I just brought what I have. I belive, not just Krabi, wherever you’re going for a trip, it’s actually important to have your itinerary planned. In my case, instead of having a 9am-9pm planned itinerary, I listed a to-do-list so that I wouldn’t get stressed out if things aren’t going as planned. 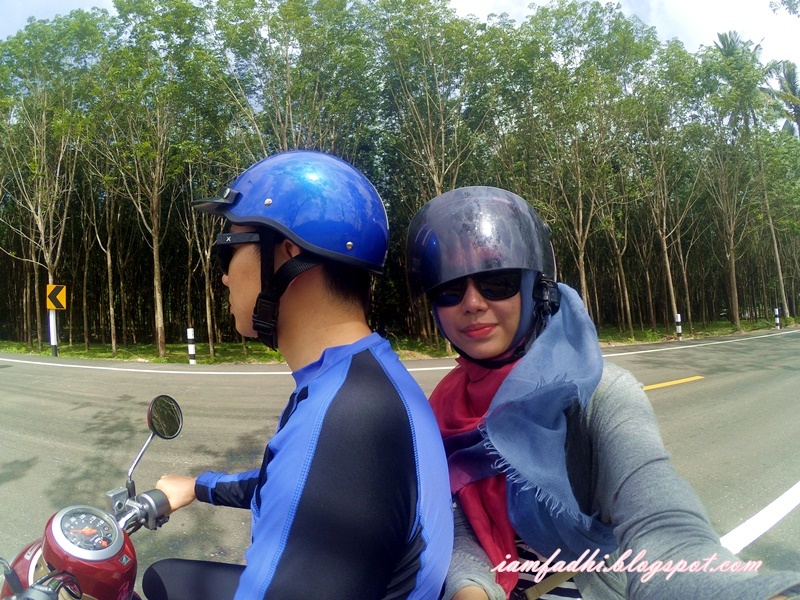 If you have like more than a week in Krabi, I would suggest to take it slow but a mere 3-full-day-trip? We’ve got to manage our time well for a maximised experience. Gituuu. What we did was reading from various blogs and planned the itinerary according to our interest. Good thing for a multiracial couple like us, I’ll do English and Malays blogwalking (omg been forever to use this jargon haha) while Kim will always refer to Naver blogs (Korean kinda Google - search engine) and such. Believe it or not, it’s so different..like what Malays do when they travel and what Koreans do. 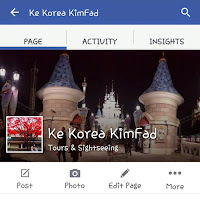 Sometimes what’s popular among Malay travellers might not be the same among Koreans. Anyways, now I get used to it and enjoy having different kinds of traveling experience with him. Will update more on our itinerary later. 1. Seasons – peak season (mid October to late March). It’s important to know the seasons in Krabi before going as packages offered depends on the season at the moment. Low season means lower price. But high season means more things to be explored! However, we actually bought the flight tickets less than 2 weeks before going because of the Air Asia BIG promotion. I learnt that it was currently low season in July after we bought the tickets lol. Read more about Krabi’s weather here. 2. Plan your itinerary so that you can choose your hotel based on activities you wanna do. If you want to stay nearby the beach and near other attractions, Ao Nang is the best place but hotels close to the beach can be quite expensive. a) Go groceries shopping. One thing you must do when you’re in Thailand is to try their snacks. You can get all kinds of snacks in Tesco Lotus or Big C. I will blog/vlog more about this soon. b) Get Thai massage. Never, I mean NEVER leave Krabi or Thailand in general without trying their massage (I know this is unpopular advice because it’s already well-known). But be careful when you choose the types of massage and massage spa. If you’re not familiar with massaging, don’t go for the traditional Thai massage. Kim had it and said “I thought I almost died.” LOL. Ask for a more relaxing massage instead. I tried the aromatherapy massage and goshh it was amazing. As for the massage spa, sometimes small ones by the Ao Nang road isn’t hygienic enough because they use the same towel over and over again without washing it so we were careful when choosing the spa there. Let me know in the comment section if you’re interested to know which massage spa I went to. d) Go rock climbing. We didn’t have enough time to do this but if I could come back to Krabi again next time, I’ll definitely put this on my to-do-list. e) Eat at seafood restaurants by the beach or at the cliff restaurant. It would be nice for me to stay indoor as much as possible when it’s raining ‘cause it can get really windy. A romantic windy dinner by the beach? Oh yes! Also, when we were on the way to Krabi town from Ao Nang, we saw this beautiful restaurant right under a big cliff by the road. I forgot to take a picture of it but just so you, the view from afar is uh-may-zengg at night. f) Attractions and activities you can still do even if it’s raining included kayaking in Bor Thor, hiking Tiger Temple/Cave, go to Emerald Pool & Hot Spring. I guess that’s all for now. 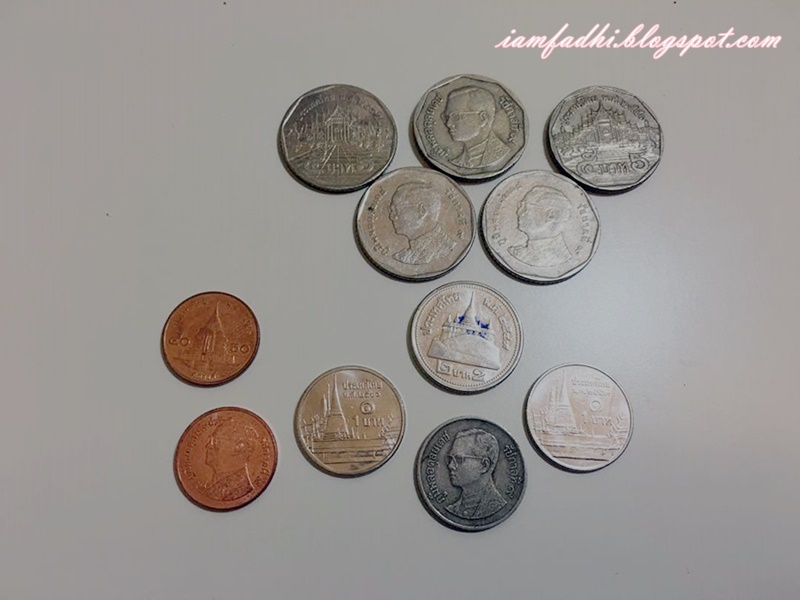 I hope this helps to plan your Krabi Trip. Please share this if you think it’s helpful. Or leave comments on what else you wanna know about our Krabi trip.